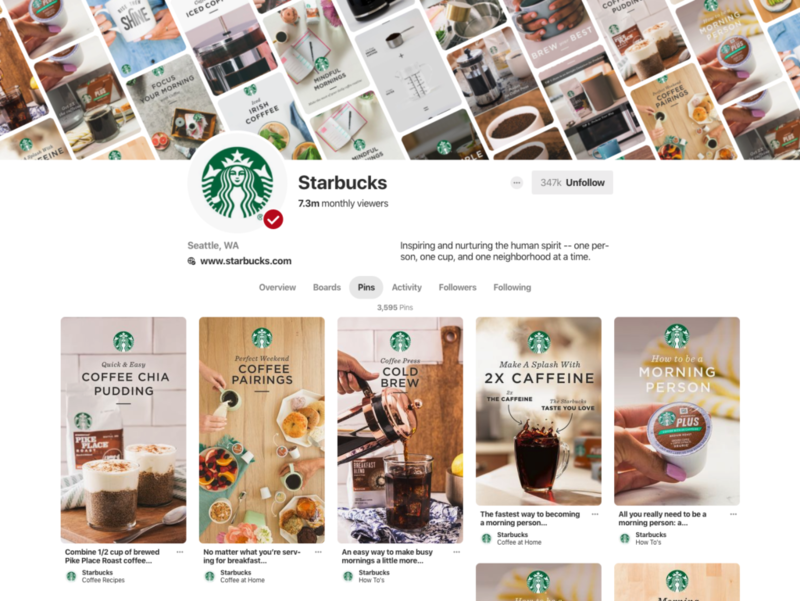 Brands would be wise not to overlook Pinterest in their social media strategies. According to the platform, 61 percent of users have made a purchase after seeing business content on Pinterest, while 93 percent of Pinners use the platform to plan for or make purchases. 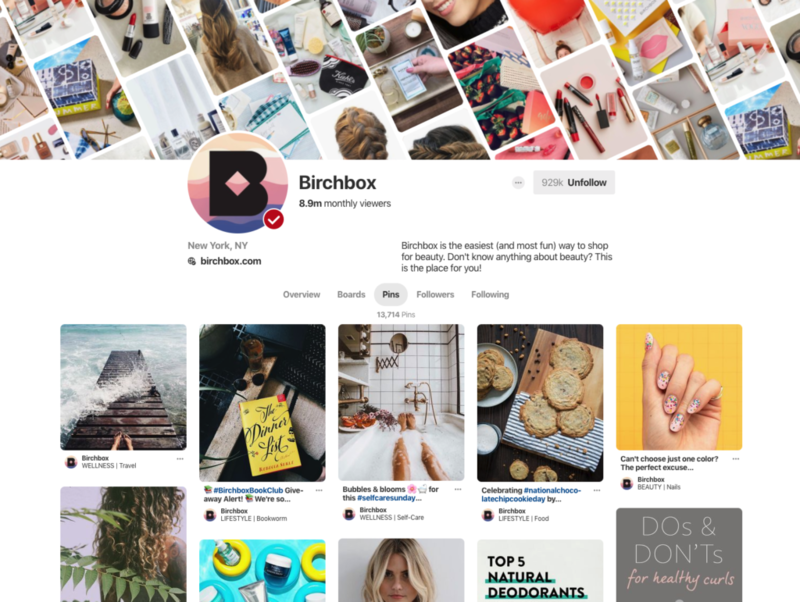 For those of you wanting to up your Pinterest game, here’s a look at four of the best brands currently on the platform—and how to adapt their strategies to your own. Since its rebrand, the yogurt brand has really carved out its own space on Pinterest. 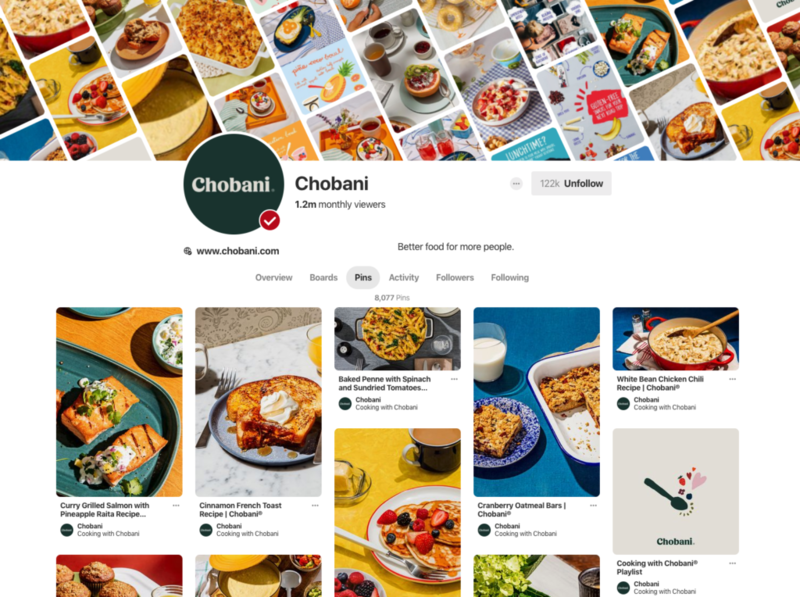 Chobani’s overall aesthetic is bright and inspiring, and it does a good job of cutting through the typical food blogger clutter. Apply It: Visual consistency is key. By creating a look and feel that people recognize, your brand will easily translate across platforms and stand apart from the rest. The magic of Pinterest happens with keywords: users can search for anything on the platform and generate an endless list of results. Starbucks does a great job at adding detailed descriptions to its pins that are composed of words someone actually might search for. The brand’s on-image copy is also simple and to the point, giving the user just the right amount of information to want to learn more. Apply It: Use SEO thinking on Pinterest. 75 percent of searches come from one-to-three word queries, and those words most likely don’t include a brand name. Ask yourself: “What would I search for if I were looking for this information?” and use that to formulate your descriptions, titles, and keywords. It’s easy to view the beauty industry as just CPG marketing for makeup, skincare, and hair care, but Birchbox has expanded its reach to way more than that. The brand’s boards are carefully curated to not just push product, but also offer inspiration and solutions to its target: fitness inspiration, healthy recipes, suggested books to read, and more. Apply It: Think outside the box. What other categories can your brand naturally fit into or speak about? Find those easy links and create boards and pins to promote a lifestyle, not just your brand. Similar to Birchbox, LÄRABAR knows its audience well. 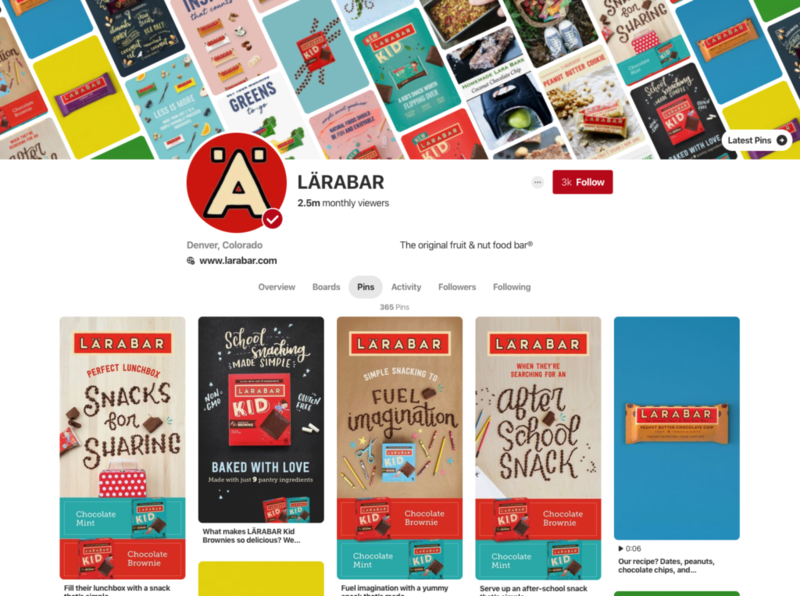 Aside from creating pins and targeting ads to consumers for general awareness, the brand pins content from other users that feature its products—including homemade LÄRABAR recipes, healthy lunch box inspiration, and hiking trip packing lists, to name a few. Apply It: You don’t always have to make the content yourself. Find other users who are already talking about and using your product or service, and leverage their content on your own page. User-generated content (UGC) is a great way to fill a Pinterest page with real-life inspiration, and all you have to do is re-pin it! Need help with your Pinterest strategy? Let’s talk.